Professional drummers are exposed to high volumes which can increase the risk of hearing damage. In-ear monitors can significantly decrease volume, as well as protect you from background noises and increase the overall audio quality. However, as with any other product, in-ear monitors come with their own disadvantages. Ultimately, it all comes down to personal preference, as some musicians and audio artists will prefer wedge over in-ear monitors. We have come up with the list of five pros and cons to wearing in-ear monitors for professional drummers. As a drummer, you’re probably having problems with high volumes as well as background noise that can hinder your performance but also put you at the risk of hearing loss. One of the main benefits of wearing in-ear monitors is that they help control the volume reaching your ears. In addition, in-ear monitors are very useful for lowering stage volume. An in-ear monitor will also enable you to have a direct control over volume. 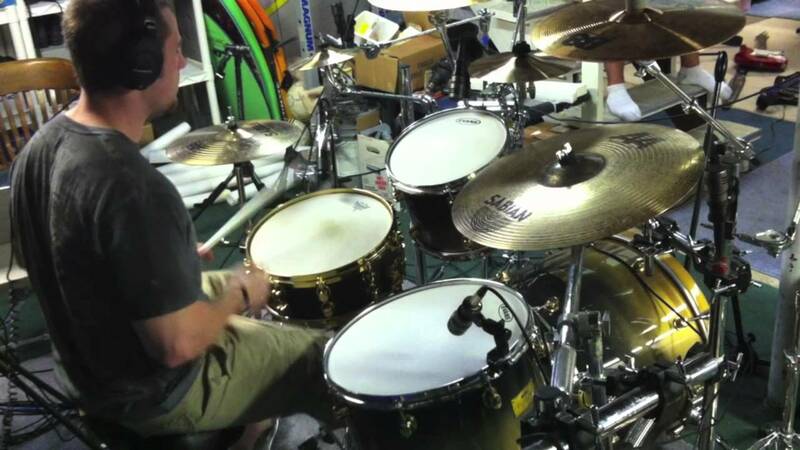 It is a perfect solution for drummers who want better control over their performance. While in-ear monitors are definitely a good solution for protecting you from high volumes and noise, wearing them can cause a sense of isolation from other band members. This can be a problem because coordination between band members is very important for a good performance. If you regularly interact with the other musicians on stage, wearing in-ear monitors could make that more difficult. On-stage and background noise can make life hard for professional musicians. Wedge monitors are usually far less effective at isolating you from on-stage noise. Many musicians, as well as professional drummers, take background noise for granted and often expose themselves to high volumes. Not only this prevents you from hearing yourself properly (and thus negatively influencing your performance) it also increases the risk of affecting other musicians and starting a volume war. Tip: Check out some of the best in-ear monitors for drummers by Ironhorsetrading.net. Longer stage performances mean you will be needing a lot of batteries. For large bands, this can quickly become a problem as you will have to use new batteries for each new performance. Before buying wireless in-ear monitors remember that batteries can be quite costly, so if you’re performing often it is a good idea to get rechargeable batteries in order to limit the expenses. Using in-ear monitors is the most effective protection against feedback. There is almost no chance of achieving feedback with in-ear monitors. You won’t have to think about feedback interfering with your performance ever again and this is one of the main benefits of in-ear monitors. In-ear monitors protect you from background noise, reduce the risk of hearing loss through exposure to high volumes as well as eliminate any possibility of feedback. On the other hand, they require a lot of batteries and can add to a sense of isolation from other band members. Carefully consider all the pros and cons before buying.